4 Enjoy free updates for life! 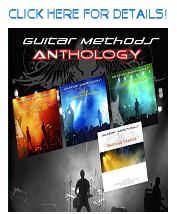 Welcome to the new Guitar Methods.co.uk website! Here you can find information on the 'Free Updates' that all our tools include, browse our complete catalogue of tools, view our new products currently in the works, check out some freebies, or contact us if you have feedback or questions. Please use the links above to browse the site, or click on the quick-links below to jump to a specific page of interest. Join our Mailing List for updates on development, and free guitar lessons and 'mailing-list-only' offers. New website launched! Take a look around and let us know what you think. Just like with our products, all feedback is read and responded to.